S&W First Response Folder. Standard edge blade. 4 5/8" closed linerlock. 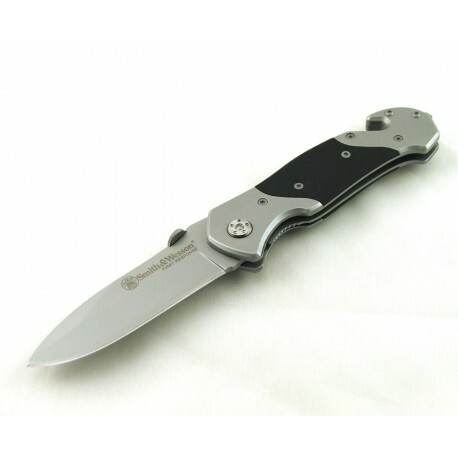 Matte finish stainless blade with thumb lug. Blade is etched First Response. 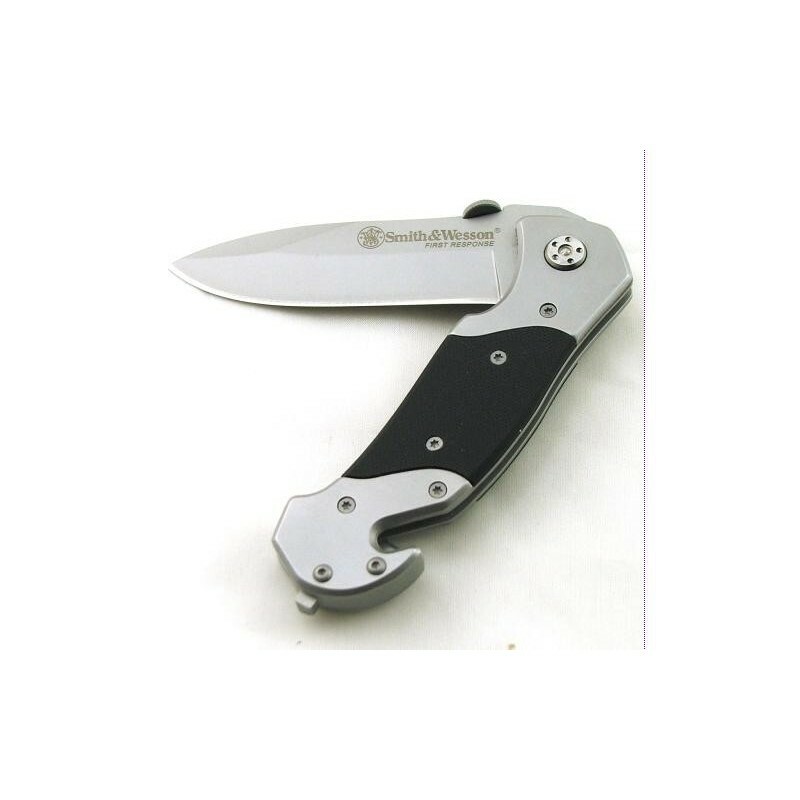 Matte finish stainless frame with black sure grip inlay handles and integrated seat belt cutter and glass breaker. Stainless pocket clip.